League that, let's face it, isn't any more salubrious than the 'UEFA Cup' which preceded it. We're also within a shout of winning the FA Cup and, whilst it's a long shot, the possibility to lift the Premier League trophy too. It. Just. Might. Happen. Meanwhile Tim Sherwood is trying to eat his own face. Sunday's game at the Lane of Farts was an odd one though. We went ahead after two minutes, courtesy of an absolute stunner by that man Tom Ross. It will go down as one of the great derby goals, although lets face it, there have been many, many, many good ones netted against them over the years. Once the ball had ripped its way through the back of the net and scorched on towards Essex, we had a few clear chances to really put the game to bed but, with the Ox failing to find his shooting boots (even his 'assist' for Rosicky was questionable) we were once again left squandering our opportunities. It was another one of those matches where we carved out a result despite accepting that at any point we could have drawn, or even lost the tie. It's because we simply aren't ruthless enough. I'm perfectly happy with us winning every game by a single goal to clinch the title, but we all know that's about as probable as Nicky Bendtner passing a sobriety test on a Saturday morning. We have a solid defensive pairing in Mertescielny at the back but even they can't stop the inevitable few goals from creeping in, be it as a result of a calamity from Szczesny, a slip (or late tackle) from Kos or simply a stunning bit of individual play, like Deulofeu's equaliser against us earlier in the season. We can't assume we're going to get these one-nils all the time. The fact is, Arsenal are a team that simply don't capitalise on opportunities and possession as well as others would do in our situation. Eventually this'll come back and bite us like the proverbial monkey with rabies, and we'll be left on the floor struggling to pick ourselves up. Now I'm not one to complain, I really am the optimist when it comes to Arsenal and the Wenger-era, but even I know that we have a lot more to give in terms of goals, and we can do it with the squad we've got at the moment. Arsenal's chance-taking is getting better, and it's become evident over the past few weeks. Our game is now more direct, which I can only see as a good thing (everybody knows Arsenal are the world-leader in passing the ball from one player to the other horizontally whilst avoiding shooting at every opportunity). It's no coincidence that we are without the likes of Ramsey, Wilshere, Özil and Walcott and yet our attacking has become more fluent and aggressive. The absence of the aforementioned has presented the likes of Rosicky and Oxlade-Chamberlain – arguably our most direct players - with the opportunity to demonstrate their worth, and boy have they done just that. It's not just about ability, Özil and the others have that in spades. 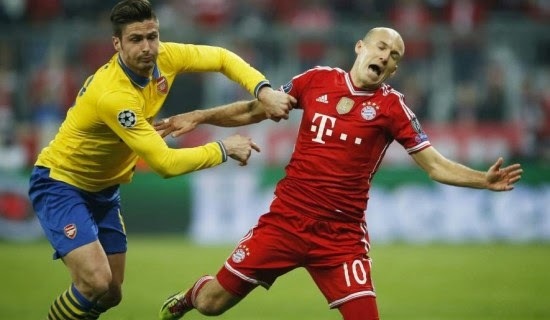 It's about mentality, it's about having balls, 'enterprise' if you like, and taking the game by the scruff of the neck, inviting tackles in as we move forward the moment we have the ball and accepting that a move may or may not pay off (and that we might just lose possession). No hesitancy, just direct play, towards those white sticks some people call 'the goal'. Rosicky and the Ox are already doing it. Özil, Ramsey, Wilshere and even Walcott are not. I've seen it myself on more than one occasion where they will actually slow down their own counterattack to get the pass rate up, at which point opposing defenders have already regrouped and pushed us back into our own half. WHY!? It's bloody frustrating and I'm sure many others will agree. We have to look at the basics, the foundations of our tactics: keeping the ball, something that has always been the Arsenal way, because if you have the ball, the opposition can't score, simples. But if that's the case, why do a good handful of the teams we play against, who average 20-40% possession in each game, still beat us? It's because they take risks with their forward play. Put simply, it's a numbers game, like anything else, be it gambling, dating or selling timeshares. The more you have a stab at it, the more likely you are to succeed. And that's the kind of mentality we need to adopt. Passes don't make goals, shots do (hey I came up with a new song!). So essentially, if it were me wearing the body-length Nike embroidered ribbed condom with malfunctioning zip, and not Mr Wenger, I'd take a look at what TR7 and OX15 are bringing to the team and try replicating that mentality with the others, or at least make sure that we always have at least one of those players on the field at any one time. We have others that have been 'pre-programmed' to automatically run for goal the moment they have the ball who are chomping at the bit to get on the pitch, that includes Serge Gnabry. I'm sure that the involvement of these direct players, together with our technical playmakers, will give us a whole new dynamic without upsetting the possession play that is part and parcel of present-day Arsenal football. So, with 'Clueless Pete's Guide To Winning' out of the way, I can give you a bit of an update on the charity situation. As of right now, I'm currently at the $11k mark in fundraising for the Triple Negative Breast Cancer Foundation. If you're not aware of the motive behind this, please read more about it here. I still have another $4,000 to go, and the season ends as soon as we've lifted the FA Cup Trophy (!) in May. So I don't have long to go, but that's still a hefty amount to raise. I would really appreciate your help in achieving this goal, so please spare what you can, literally anything, and donate here. 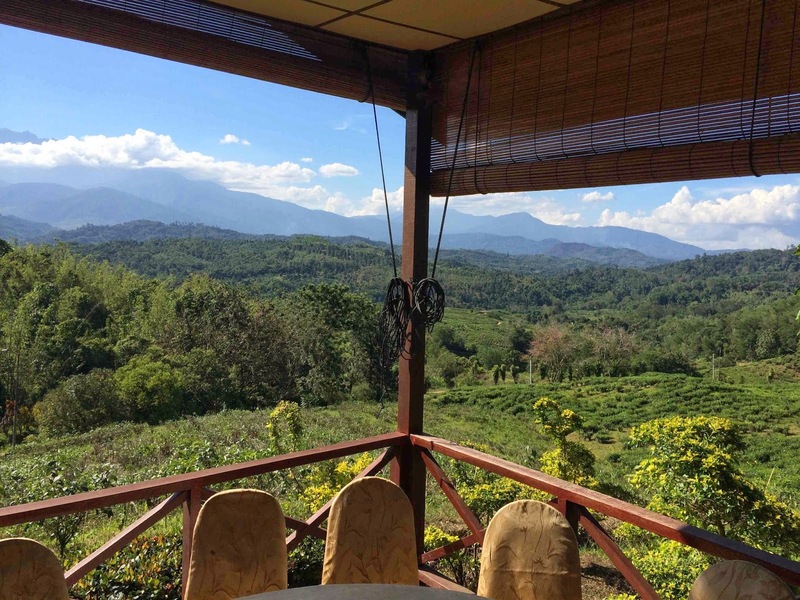 Right now I'm in Kota Kinabalu in eastern Borneo, where I have already had some encounters with the local residents, including the Proboscis Monkey with it's massive schnozzer (related to our Olivier perhaps?). 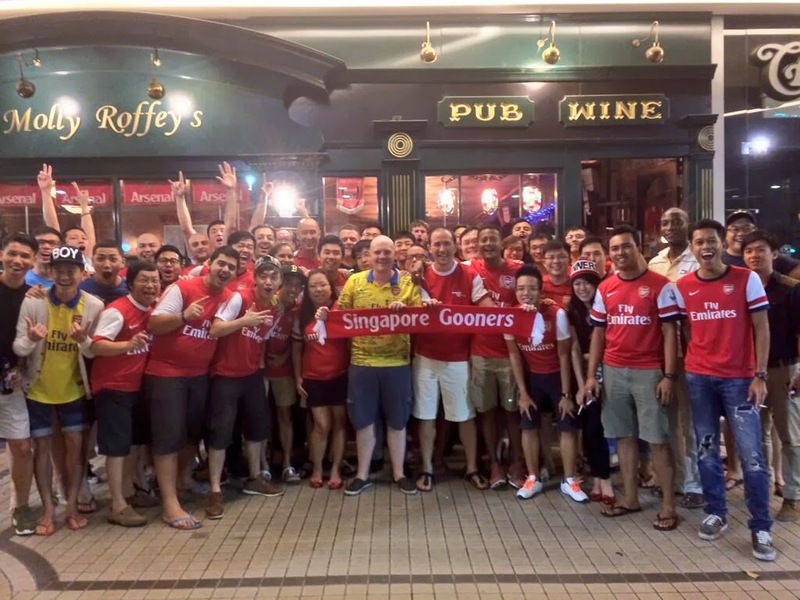 I will be watching the Chel$ea game here with the local Arsenal fans before heading back to Kuala Lumpur next week to watch my final match in Malaysia, Arsenal v Swansea.Then, at the end of the month I head to Vietnam and, last but not least, China! For now though, selamat tinggal! Although, I must say, I believe that we're only really 'going to Wembley' if we reach the final. It serves as a bit of an anti-climax to know that the semi-final venue is the same as the venue for the final. You have the FA to thank for this; they made the decision because they want to recoup the costs of building the stadium, which, once again, is an example of how money is ruining the traditions of football. At the moment, we're going to Wembley, but we're not actually 'going to Wembley'. It's a bit like going out, but not going 'out out'. If I've confused you, just watch this. We now have the best opportunity to win our first bit of real silverware since 2005. And by 'real silverware' I don't mean the Emirates Cup. It's by no means an easy feat to beat a stern-looking Wigan side that dumped Man City out of the quarter finals at the weekend, but you can be sure that there will be no assumptions made this time. We have learned our (many) lessons over the past 9 years and you have to think this lesson-learning will only add to our firepower and our drive. 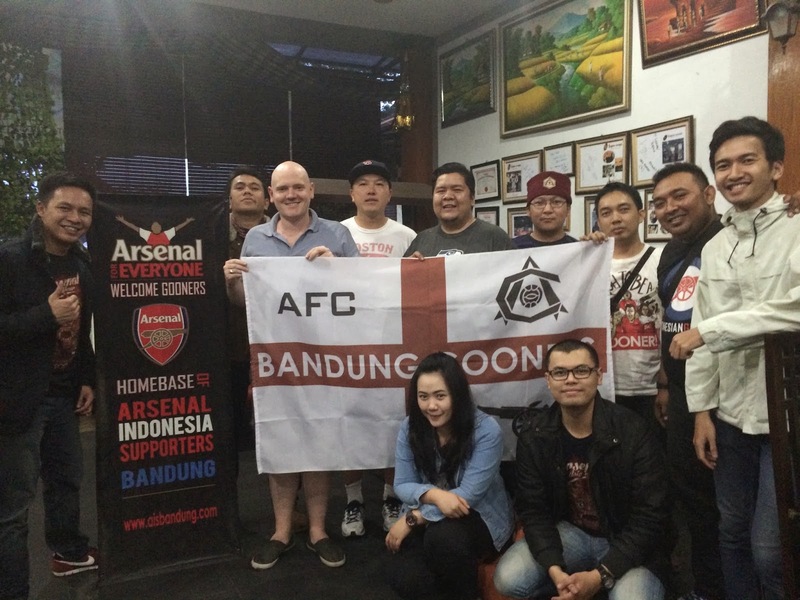 The venue of choice for the FA Cup match was Herris Damansara Perdana, a food outlet in Kuala Lumpur, Malaysia. The locals here tend to head to a food outlet rather than a pub to watch the match, simply because the majority of people in Malaysia are Muslims. It makes for a nice change to the typical grog-fest of a pub viewing, although the locals still snuck a few Heinekens in for me (I have an unhealthy superstition that if there's no beer in my hand Arsenal will lose). 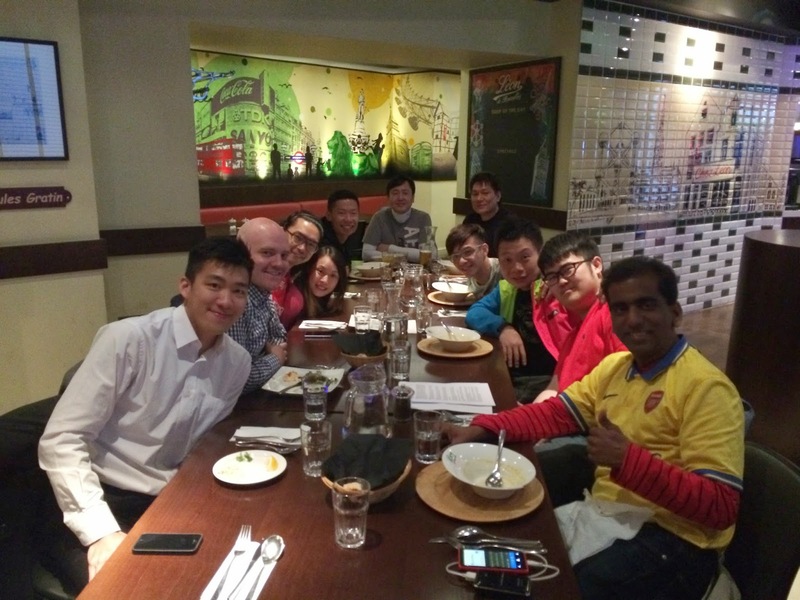 The Malaysia Arsenal fans are as passionate as any others that I've met on my travels so far. In fact, the one person I'm staying with at the moment is so besotted with the cannon that he's decided to paint the Arsenal crest on the bonnet of his Mazda 323. It's something you simply couldn't do in the UK, Europe or North America. And it seems you can't really do it in Malaysia either, because he's got a huge key scratch on his passenger door. The game against Everton itself was an energetic affair reminiscent of the 1-1 league draw a few months back. Only this time we showed our superiority in the midfield department, which let's face it, is our strongest area by a country mile. I know Özil was the fan's man of the match, probably due to his contributions on the night and the way he demonstrated his mental strength [to get over the recent negativity], but for me it was Sir Chamberlain of Oxlade that gave us something hopeful almost every time he had the ball. He even lost the ball a few times but almost always won it back. I genuinely think he should be starting every game for us if he's fit enough. I've said this before and I'll say it again, as a team we are far too indirect given our potential ability to cut our oppositions defence in half. That's why players like the aforementioned Ox, Rosicky and Gnabry offer us so much, and at least one of them should be starting every game to give us that bit of dynamism that we lack when they're not on the field. So, once again, it feels good to be an Arsenal fan. We've essentially got one hand firmly on the FA Cup despite having two rounds still to play in the competition, and as long as we keep our heads out of the clouds and show that we really want it, we'll get that monkey off our back. And then shoot him in the face. Right then. One job complete. Tonight however, we must replicate the Great Escape in Germany. Nothing is impossible. Normal service has been resumed, we've wiped our shoes of Sunderland's general shoddiness and clearly have one and a half eyes firmly on the Premier League title (when could we last say that going into March?). Writing this piece from the same Singapore apartment I was in two weeks ago, I'm rather relieved to be back in a city that doesn't wreak of pandemonium everywhere you set foot. 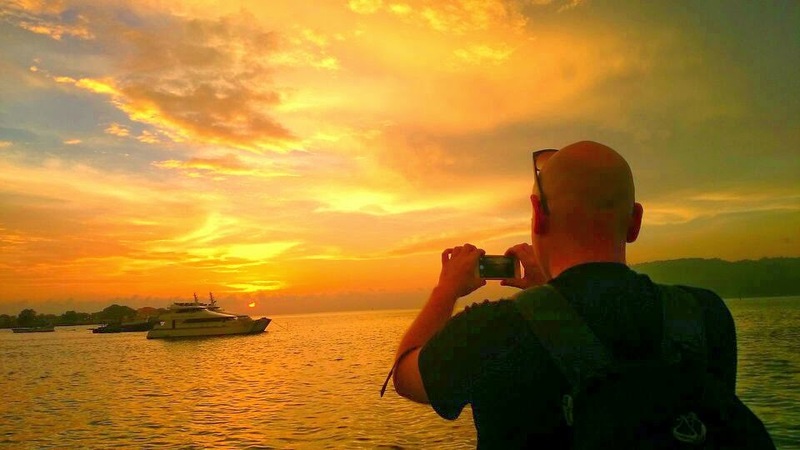 Jakarta was a huge step into the unknown for me, a place where essentially every single one of your senses can be rudely awakened, simultaneously. It's a dirty, smelly place, filled with pollution and people wanting to make money out of you any way that they can. But it's also filled with culture, top-notch arts and great food (if you know where you're going that is). 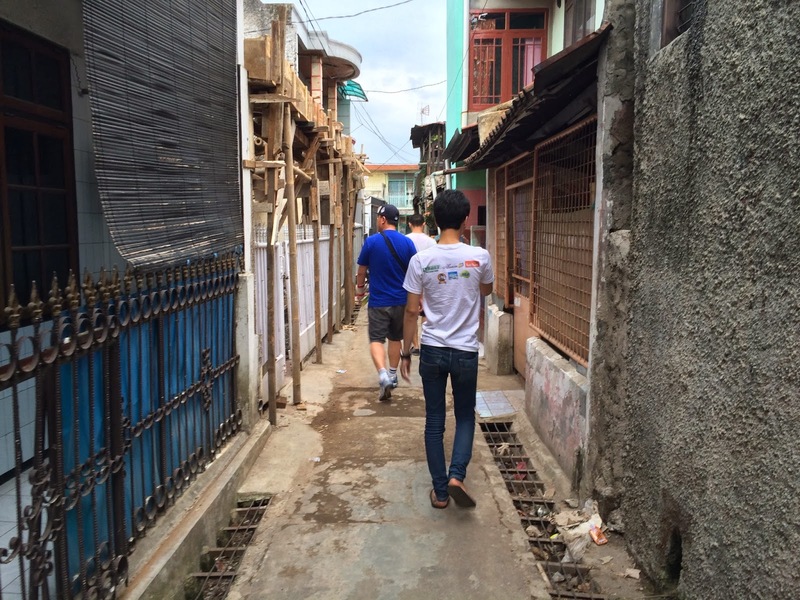 Each person I met was not only incredibly kind and generous, but also very proud of their country. I didn't just visit Jakarta whilst in Indonesia though, I had the opportunity to visit Bandung, the capital of West Java and the first place to hold the Asian-African Conference (also aptly named the 'Bandung Conference'), in 1955.
expecting it to be a poor turnout because of this, but to my surprise around 150 Arsenal fans turned up for the game, including a coach-load of Gooners from Karawang more than an hour away. After the game we visited a local natural springs hot pool to relieve all the non-stress from the game (it's nice to have a comfortable win every once in a while) before heading back to a graphics studio which local Gooner Arsya had arranged for us to sleep at. 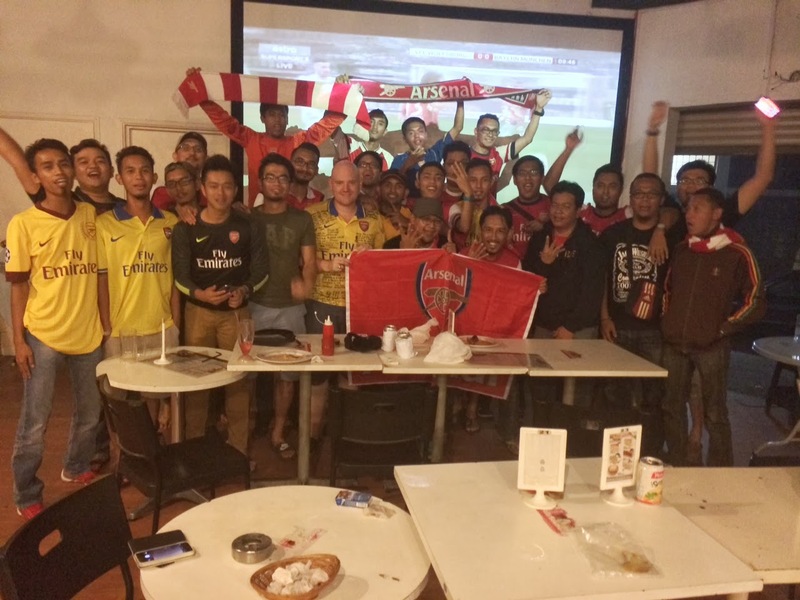 I was off back to Jakarta the following day, via surprisingly comfortable train, to spend my last evening with the Gooners that I had met during my stay. We had some Murtabuk and some Fried Chicken, took a few photos and shared a few stories (of which I'm sure there would be many more had I longer to stay) before bidding farewell. Now back in Singapore, you probably won't be surprised to learn that I'm on a crash diet. The coronary fest of the quite typical Jakarta eating habits has gotten the better of me and now my waistline has given in completely. Time for a change! 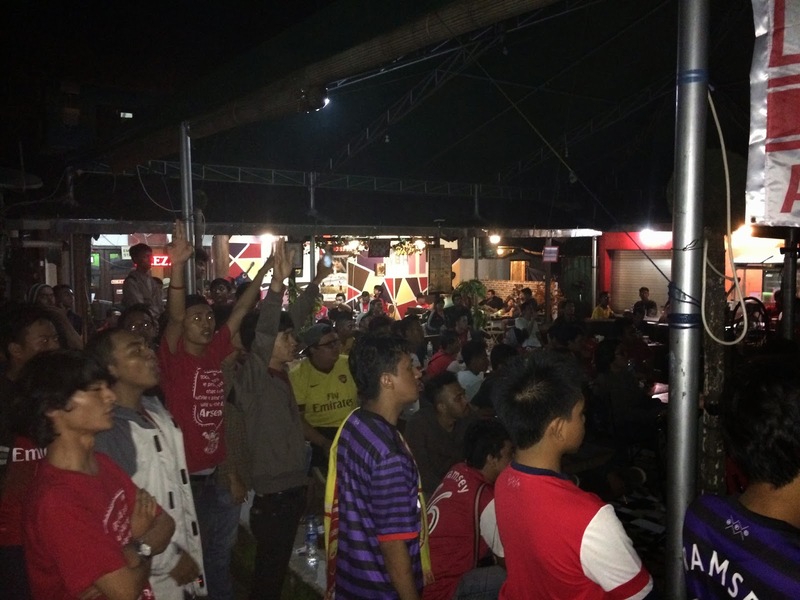 Usually when writing match updates for the first time in a new city or country, I'll do a little piece about the place I'm visiting and then something about the atmosphere of the pub/casino/lounge/bookmakers where I watched Arsenal with local Gooners. Finally, I'll very, very briefly talk about the match performance and implications of the result etc. This time round, as much as I want to share my thoughts about a country that I'm deeply impressed with, I'm going to do football first, otherwise I'll likely spontaneously combust. 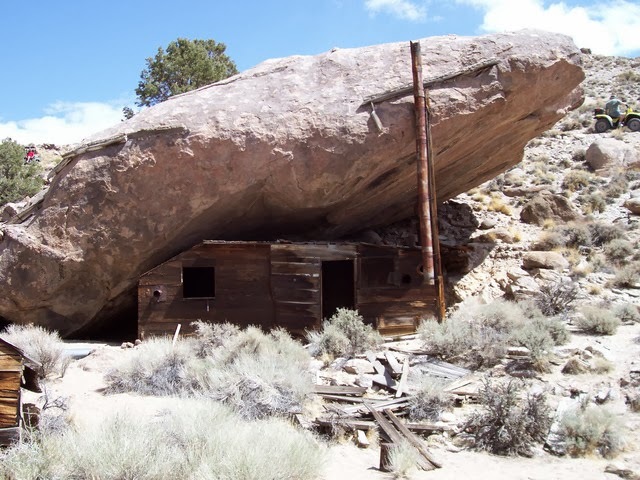 Some people, through a variety of life choices, decide to live under rocks. I've never seen these rocks advertised for rent or sale in any estate agent window, on Rightmove.co.uk or on Craigslist. I've Googled the term but have failed to find anything useful. Perhaps you have to belong to some kind of 'under rock dwellings' club. But, judging by the sheer onslaught of hermits that have taken to the tweet-waves, Facebook groups and online forums after the Man United match, they definitely exist. There must be whole housing estates with detached rocks, townhouse rocks and rock apartments, each one complete with internet connection, monitor and keyboard, where hundreds of like-minded numskulls simultaneously try to prove a very invalid point. The point they try to make is that Arsenal's season is over, they emphasise that the club is currently in a disastrous scenario equivalent to DEFCON 1. These fans are foaming at the mouth like a doberman with acute rabies. Toys the size of elephants have been lobbed out of prams and many heads are wanted on a plate. Those that don't have soup for brains will instead define this scenario as being 'one point behind the leaders in the Premier League and still in two cup competitions'. After the horror show at the weekend against Liverpool, the last thing anybody wanted - but the thing that many feared the most - was the start of an all-too-familiar season implosion. It was the same fear that people had after the embarrassing scoreline at the Ethihad last December. But, after that game we had a disappointing draw, at home, with Moan-rinho's chavs, which led way to a run that would see us take nineteen out of twenty one points in the league (not to mention comprehensive victories over the Spuds and Coventry in the FA Cup). During this run we remained top of the Premier League. Did we spend money on a striker in January? No. Do we have oil money? No. Do we want to become a sugar-daddy club and give up everything that has made us who we are and who we continue to be? No. Is our season over? No. Unfortunately there are too many glass-half-emptiers out there that want to answer 'yes' to all those questions but the reality is that we've already taken a massive step forward in becoming title challengers again. Bad results happen in football, they happen to every team and that includes both Chelsea and Man City, as is evident over the past few days. What is most important is that once again we have responded to a horrible result in the most desirable manner that we could wish for, we just didn't get the result that we wanted. Instead we take momentum and belief into our next game, which is all that the team, and the supporters, should be focusing on. 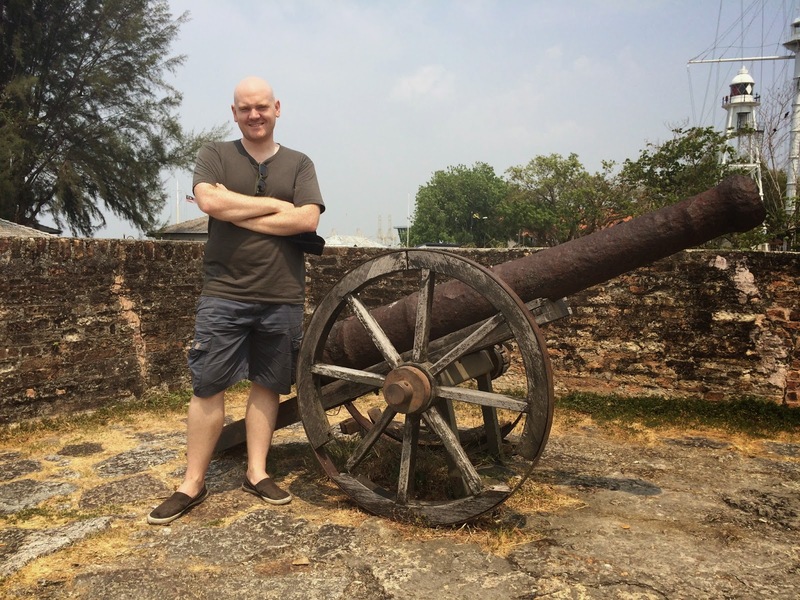 So, rant out of the way, let me tell you what I think of Singapore. I love it, and I haven't even ventured into the downtown core yet. The weather is fantastic, if a little humid (what do you expect from a country practically on the equator? ), and the food is absolutely magnificent. People say that Singapore is expensive but to be honest, it doesn't seem any different to Australia or New Zealand. In fact, in Singapore, I can eat far better food and travel further with public transport, for considerably less outlay than those other countries. I haven't had a look into living expenses and so on, but maybe there are a few rocks that I can live in under, on the super-cheap. 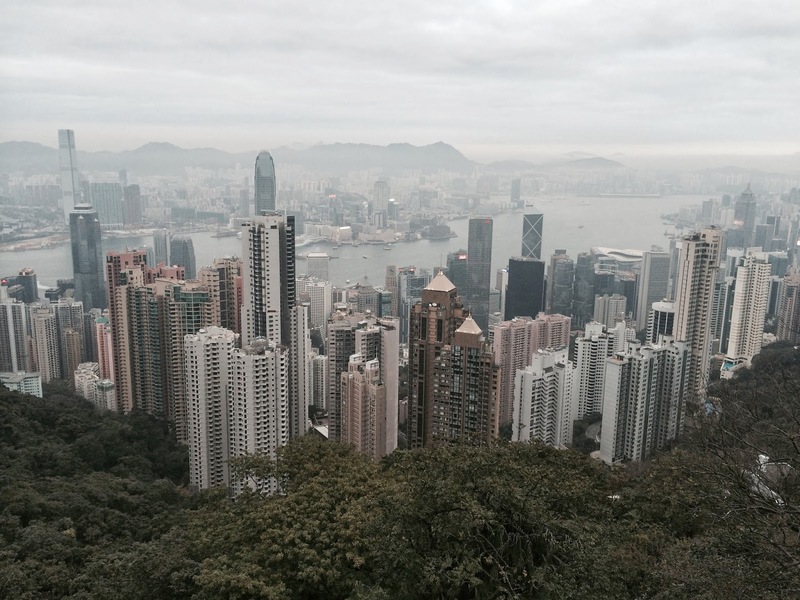 I loved the city that served as my first introduction to Asia, Hong Kong. 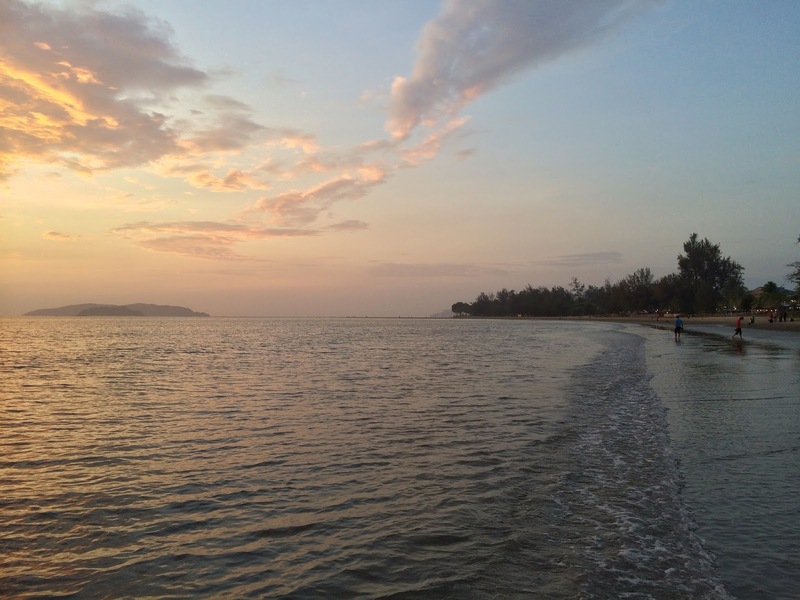 It's a great place and perhaps feels more authentically 'Asia' than Singapore, but I'm not sure if I could live there. It's too crowded and too smoggy, and when I left, the weather was surprisingly Britain-like (for those that don't know, think multiple shades of grey). Singapore, to me, is almost the perfect blend between east and west, and it's on the doorstep to many different countries too. There's an awful lot going on in this place and I think it would maybe be easier to find your 'own Singapore' rather than your 'own Hong Kong'. Anyway, it's just my personal opinion. I've also only been here a few days so perhaps I'm being too judgmental too soon. 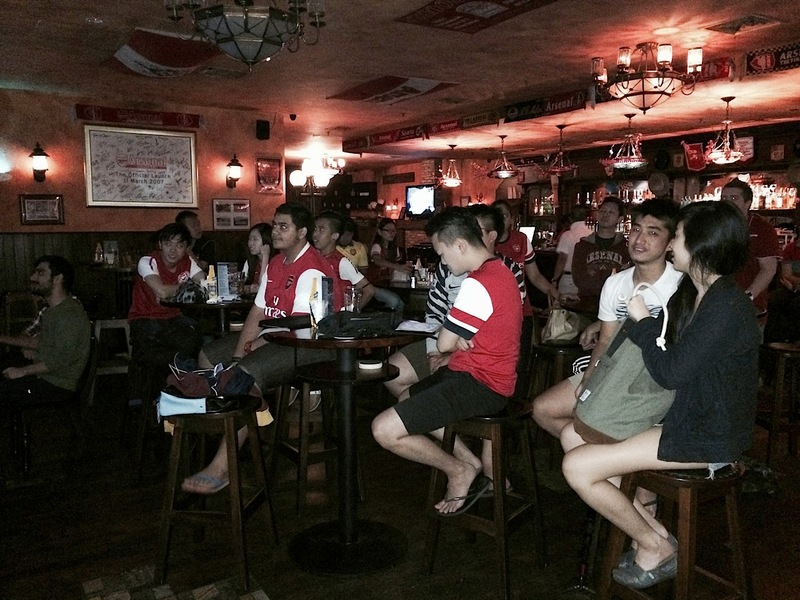 Singapore has a very active Arsenal Supporters club. They have a dedicated pub where they watch all their matches, Molly Roffey's, and it was there that we watched the United match. 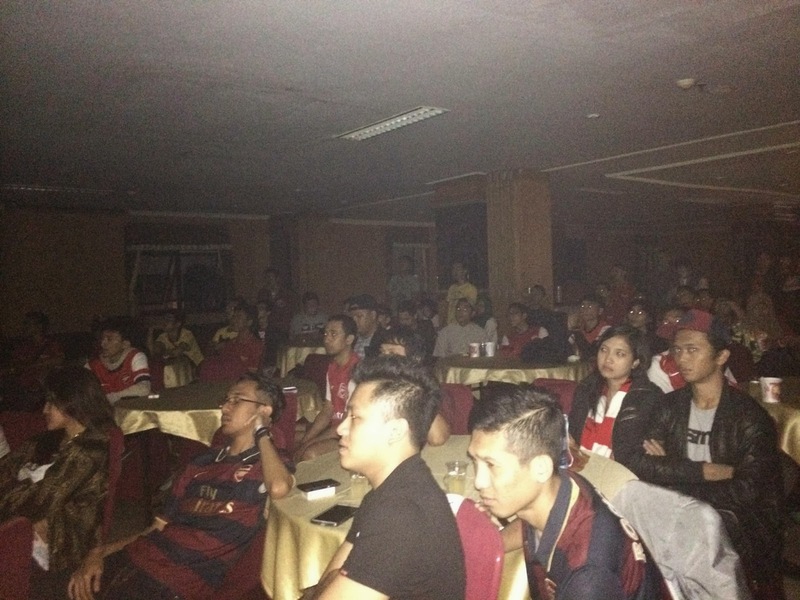 I would say around fifty Gooners came to watch, which isn't bad when you consider the game kicked off at 3:45am locally. 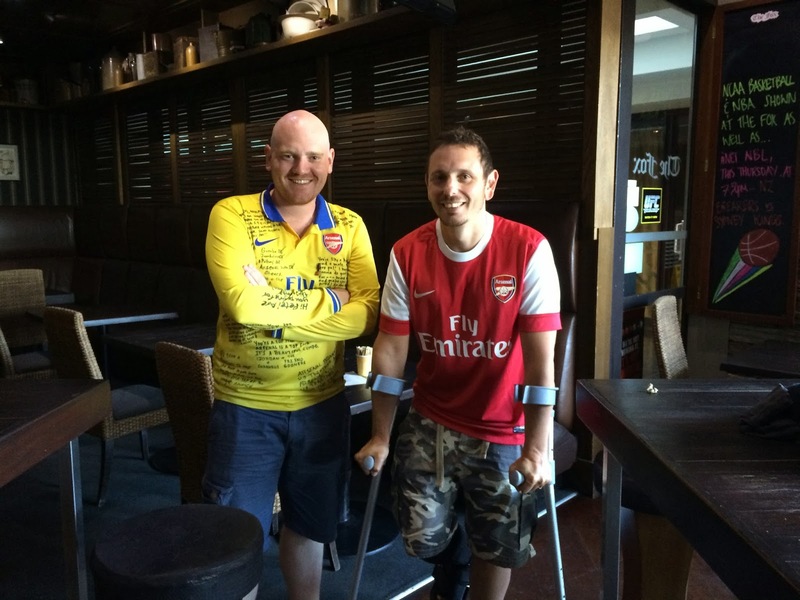 The pub itself is also adorned with Arsenal flags, shirts and memorabilia, so they've really made it their home - something which I encourage other supporters clubs worldwide to think about doing. Right now I'm staying with Jeffrey Tan, a local Singaporean, and he's been really helpful in showing me around his area, Hougang, which lies to the east of downtown Singapore. I think it's really important to befriend a local here as they can take you to the best hawker food centres and will ensure that you get great quality food without getting ripped off. I know I keep going on about food, but you can't come to Singapore and not talk about it, it's everywhere and it's bloody marvellous. I will also be watching the Liverpool FA Cup match here, so hopefully I can fill you in on some other non-food related Singapore niceties in a few days! Until then. 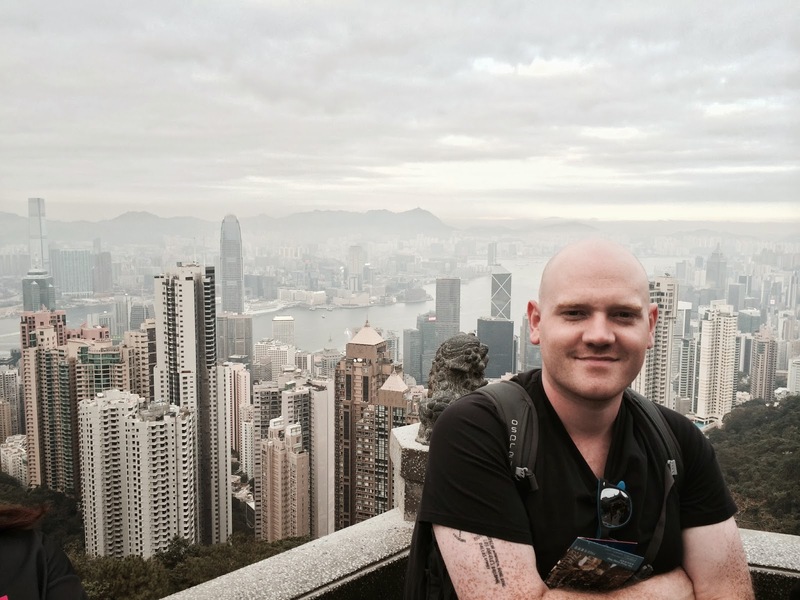 Meet Shane Lust, my host for an evening in Auckland. Shane hails from Highbury. 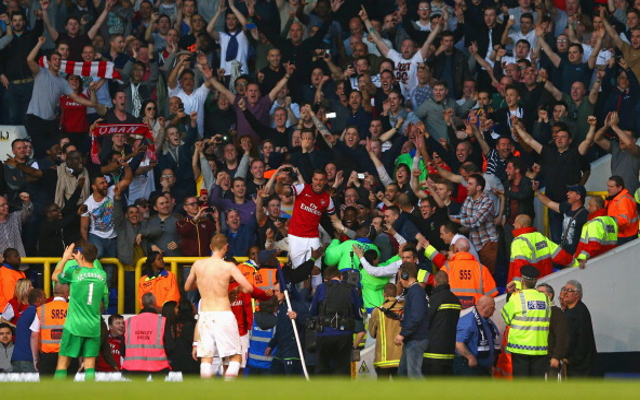 No two fans are the same, and they all have their own ways of being passionate towards the cannon. Shane is no exception. He's a little bit eccentric, which might explain him rambling on a bit in this 'Meet the Gooner Family' episode. Or maybe it was just him being drugged-up to the eyeballs on Vicodin after breaking his foot playing football with his five-year old nephew. No joke. Arsenal have a tradition and class about them that very few clubs have. From their humble beginnings as the royal armoury factory team through the Chapman era with the famous Art Deco stands to the fine suits the players wore in the Graham era. From the captain's decision of what length sleeves the team wears to the sports science revolution that Wenger brought to the English game. There's an atmosphere of respect and discipline that surrounds the club. 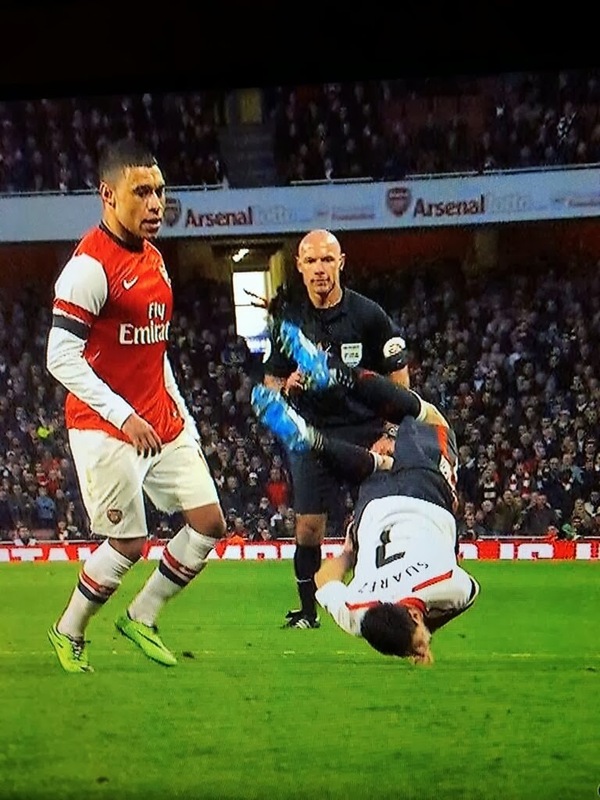 Arsenal have always advanced the sport. Arsenal have watched footballing dynasties rise and fall but we have always been one of the top clubs. We've won the title in all but one decade since the thirties and had an unbroken run in England's top division for almost a hundred years. An accomplishment no other club comes close to. Oh, and The Invincibles. If Arsenal was a bloke at a party, he'd be the one that arrives fashionably late, dressed to the nines and takes the best looking girl home. I hate that guy, but I love Arsenal. That and I love the chicken curry and chips at the Arsenal Fish Bar on Blackstock Road, Highbury. As long as I can remember though wasn't really interested in following it until I was about 12 and saw us win the Littlewoods Cup against Liverpool in 1987. Thierry Adams, the two Mr Arsenals! Theo. He gets a lot of stick but he's great to watch and scores some really important goals. The way he was carried from the pitch being showered with scarves made him look like a young Pharoah being adored by his subjects. Gutted his season is over. Beating Loughborough Town 12-0! Okay, Anfield 89. From a more personal point of view though, I worked for Arsenal in the club shop in Finsbury Park in the early 90s having done 3 weeks with the club on work experience when I was 16. The staff got to go to the games and stand in the staff enclosure but had to leg it back to the shop a few minutes before the end to open up again for the punters. The day we were presented the trophy for winning the league in 90/91, having just beaten Man Utd 3-1, was about to be gutting, as I had to leave before the festivities. That's when the commercial manager, John Hazel, tapped me and his son, who worked with me, on the shoulder and said "I need you two boys to stay back and help set up the trophy table in the centre circle". There we were on the pitch with the likes of Adams, Bould, Seaman, Smith, Rocky, Limpar, Dixon, Winterburn and Arsenal legend, David Hillier! The 40,000 plus crowd were deafening from the middle of the pitch. After patting Tony Adams on the back I faced the North Bank held aloft my scarf and ensured Monday at school was met with great fury and jealousy by those who were there and had seen me. Best job I've ever had and being part of the Arsenal family in the days when it really felt like one will always hold great memories for me. Q. 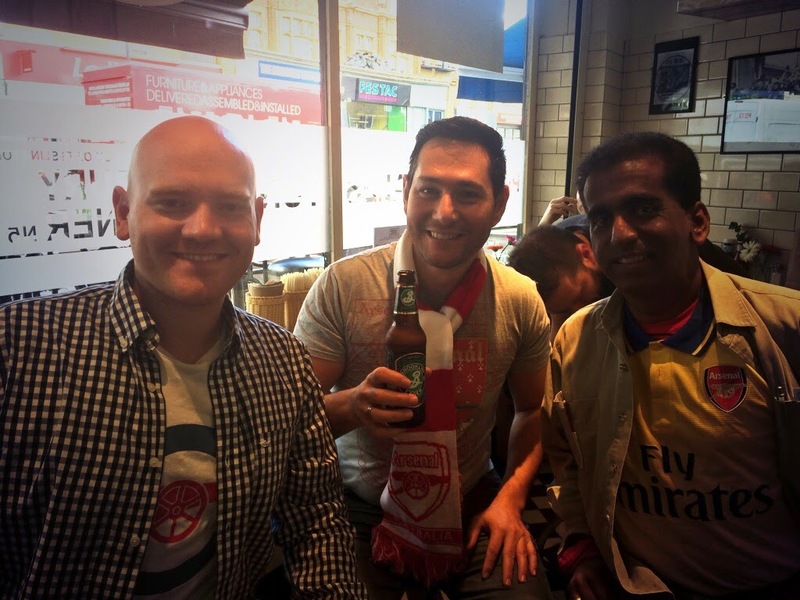 Where do you watch Arsenal in Auckland? On my patio in the sun having avoided all media until it's acceptable to drink beer and eat peanuts. You can't beat the smell of horsesh*t and onions on Gillespie Road can you? Highbury for me, all day long. North Bank middle, middle, standing just behind the trench coz I'm short. Q. Who will be Arsenal's player to watch for the second half of the season?I wanted to say Draxler but that never materialised. Santi's coming into some form now, I think he's going to have a considerable impact. My final game in the continent of Oceania (or Australasia depending on who you are and where you come from) has arrived. Arsenal v Crystal Palace. 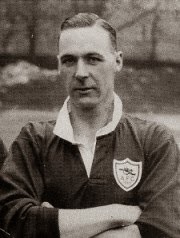 I'm really, really fortunate to be staying with Chris Jack, the Grandson of Arsenal legend David Jack, in Sydney. It's a great way to bow out of this vast country before leaving for the pandemonium of Hong Kong and the rest of South East Asia on Tuesday. 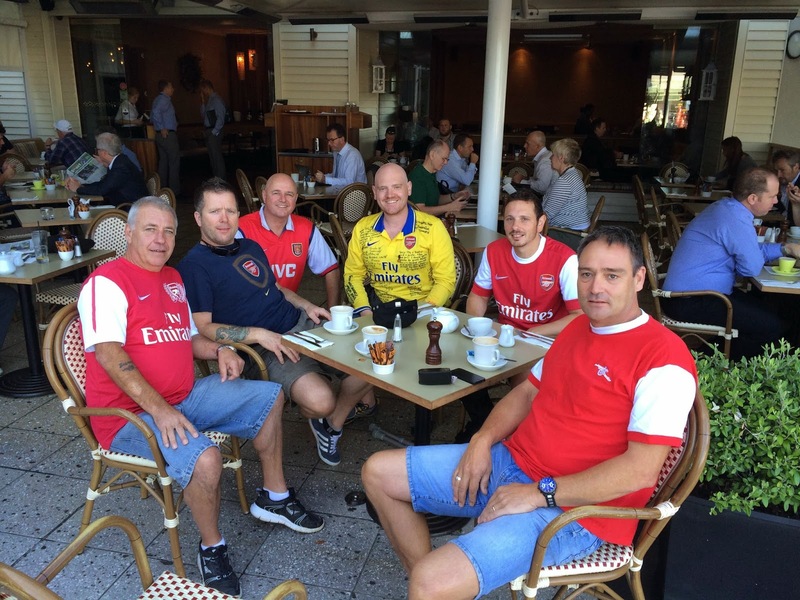 But, before all that, a little bit about my last few days in New Zealand; I was staying with Surrey-born Gooner Neil White for a few days in the suburbs, trying to recover from the booze-laden weekend with the Essex lads who I met during the Coventry match. 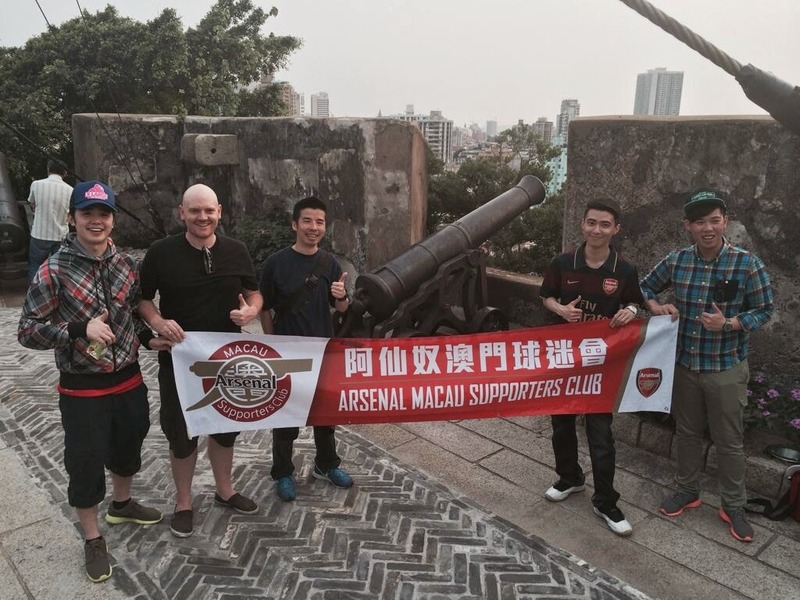 Auckland Gooners. An all-British lineup. Anyhow, there is no active Arsenal supporters club in New Zealand at the moment, the above issues certainly don't help the matter. 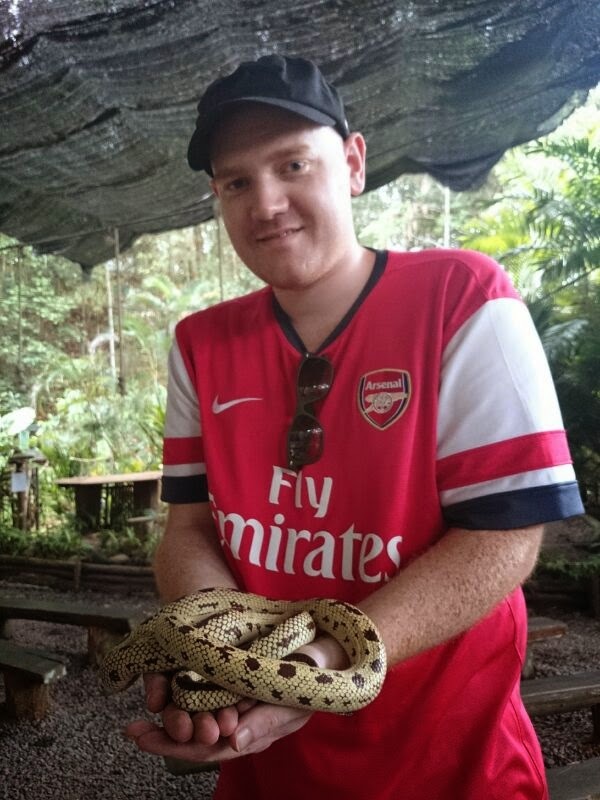 There are many fans around however, so the Southampton game was a good opportunity to get some more people together in the hope that it would rekindle the Gooner Family spirit in Auckland, and in turn New Zealand as a whole. 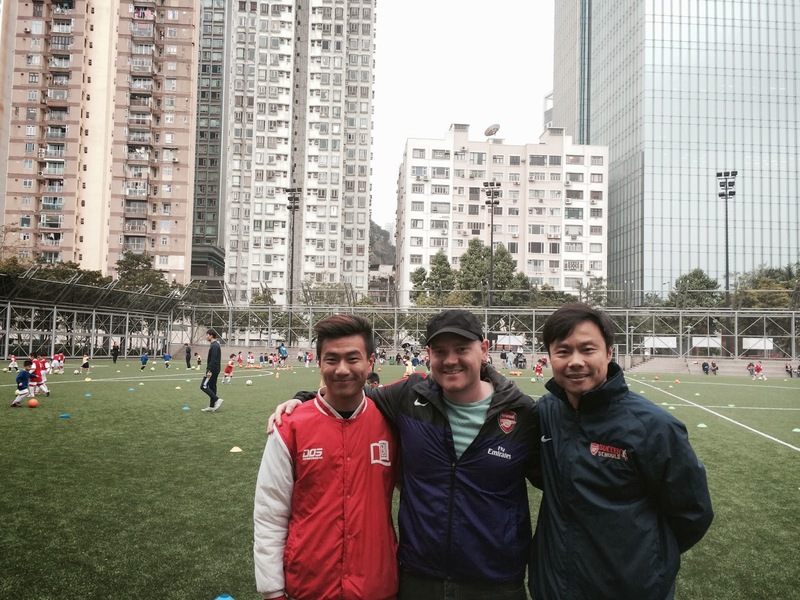 I have been to so many places on my travels where I've witnessed the joys of being part of an active supporters club. It's not just the football, it's the community efforts and the camaraderie. 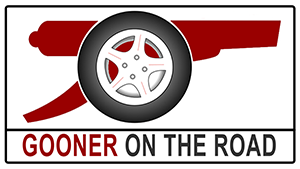 For want of a better word, it's a fellowship, and it's something that the NZ Gooners are missing out on. I suppose it might have been a bit easier to get these new 'fellows' fired up if it wasn't for the fact that Arsenal played abysmally for all of four minutes against a very resilient Southampton. I'm not a football tactician (despite being an EA Sports FIFA veteran) but even I know that our midfield had no dynamism whatsoever. It was a tactical #fail by Mr Wenger, putting Flamini and Arteta together (with Wilshere, Rosicky and Ramsey injured) in midfield and asking the latter to do a playmaker role. I know the man with lego-hair had a creative responsibility at Everton, but it was a recipe for disaster when asked to play in an advanced position for us, when all season he's been playing the anchor man who sweeps up loose balls and disperses them without hesitation. It would be like asking Özil to play right-back. I think Arteta has lost his pace over the past season too, and that makes him a questionable starter in any position other than a direct replacement for Flamini. Of course that's where he'll be starting for the next few games as the Frenchman went all Semtex on Schneiderlin, which certainly didn't/doesn't help matters going forward (excuse the pun). It's all but a disaster though, yes Man $ity may be a point ahead of us but let's not get away from the fact that Chelsea play them soon. Plus, we still have blood and heart in our squad, whilst they have oil and aircraft parts in theirs. Also, please don't all throw your toys out the pram over the general non-happenings of the transfer window. Yes, there may be a slight boo-boo somewhere with the Källström's fitness debacle, and we didn't manage to tie down the Draxler and Vucinic deals, but we've come a long way without them so far and I'm convinced we can take the battle all the way to the wire with the two sugar-daddy clubs. Keep the faith and for f***'s sake get behind your team.